What do guys like? French tips! | Polish Me, Please! What do guys like? French tips! 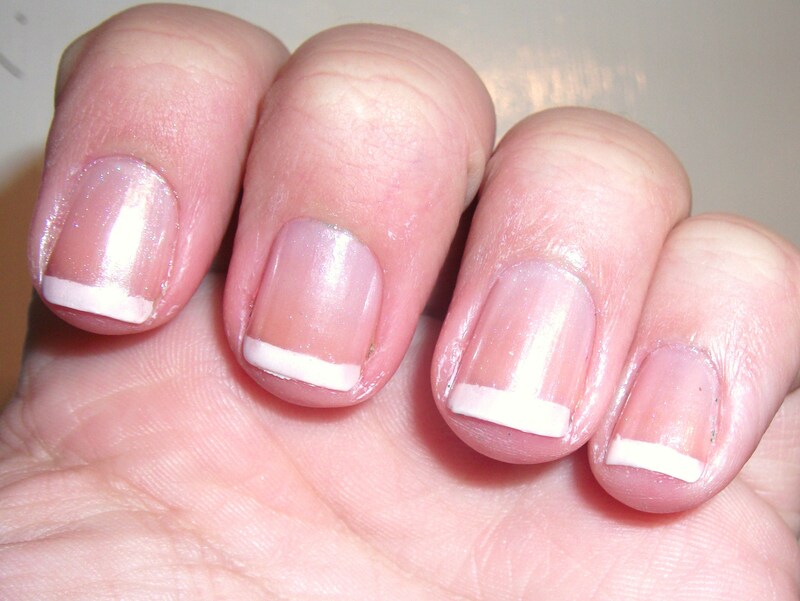 Today I have a simple french tip to show you. 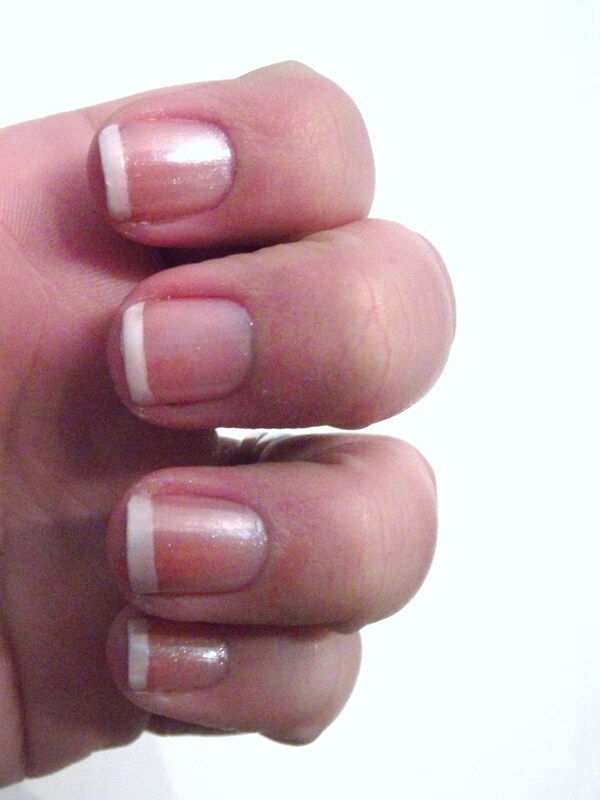 The only thing I miss about having fake nails is the easy french tip when you first get them put on. That slightly translucent white tip always looks so pretty! I used Essie Feed Me as a base, taped up, painted my tips with OPI Alpine Snow and did a thin coat of SH Diamond Strength Champagne Toast over the top before doing my Seche/SHMS topcoat routine. I like this look “okay” but I would really prefer a very near clear pink, non-frosty polish. This is a little too pearly for me. They said: “Well, pardon us, son, she ain’t no kid. An’ I like my women just a little on the trashy side.